Sophia Mendez helped organize the April 20 walkout at Churchill High School, which was not supported by administration. 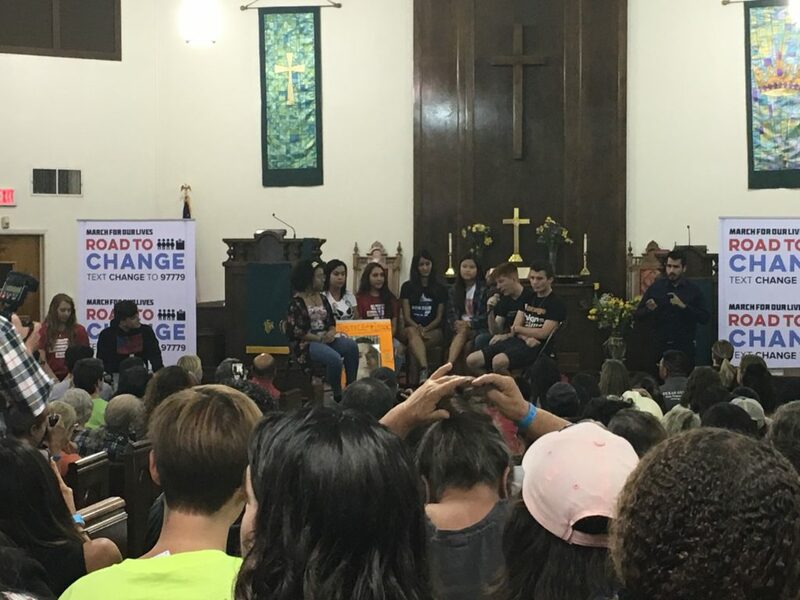 The July 9 March for Our Lives Town Hall packed the pews of La Trinidad United Methodist Church far tighter than the one that took place there three months ago. Both were student led, and had a grass-rootsy feel. However, the July 9 event also had celebrity guests—a group of teenagers who are touring the country, registering people to vote, and talking about gun violence prevention. 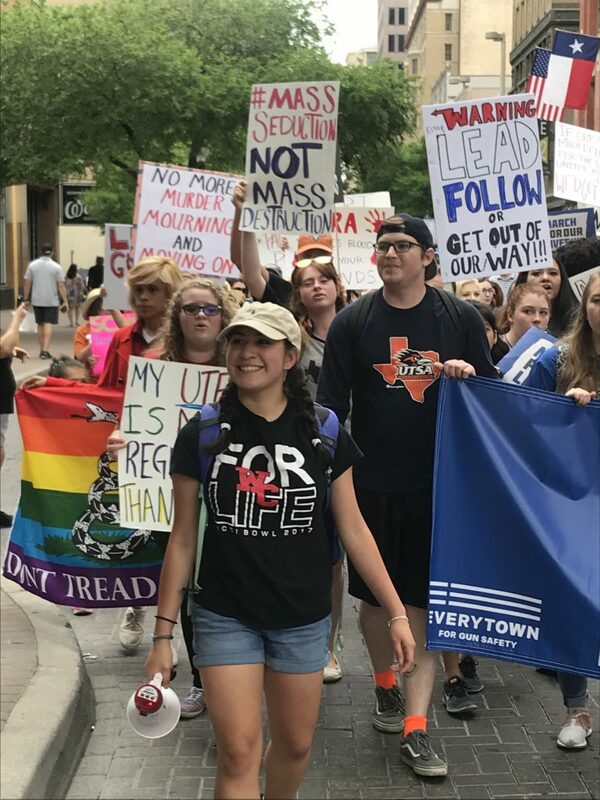 The March for Our Lives “Road to Change” tour stopped in San Antonio, bringing teens from Parkland, Florida, and Milwaukee, Wisconsin, to the stage with local student leaders from San Antonio, Houston, and the University of Texas, as well as a Janie Esparza, whose son, Isaac Orosco was shot to death in San Antonio in 2016. Sophia Mendez speaks to those gathered for Town Hall for Our Lives on April 7. Among the students on the panel was Sophia Mendez, a rising junior at Churchill High School. I met Mendez earlier this year, when, as a sophomore, she anonymously organized her school’s walkout to protest gun violence and the laws that allow it to continue. As I followed her efforts throughout March and April, it was like watching a fish find water. She’s one of those kids who sees the point of politics. She wants to be involved and make changes. She likes nuance and dialogue. Watching her attend meetings at the Esperanza Peace and Justice Center, shake hands with lawmakers, and speak in front of increasingly large crowds, it’s clear that she’s in her element. 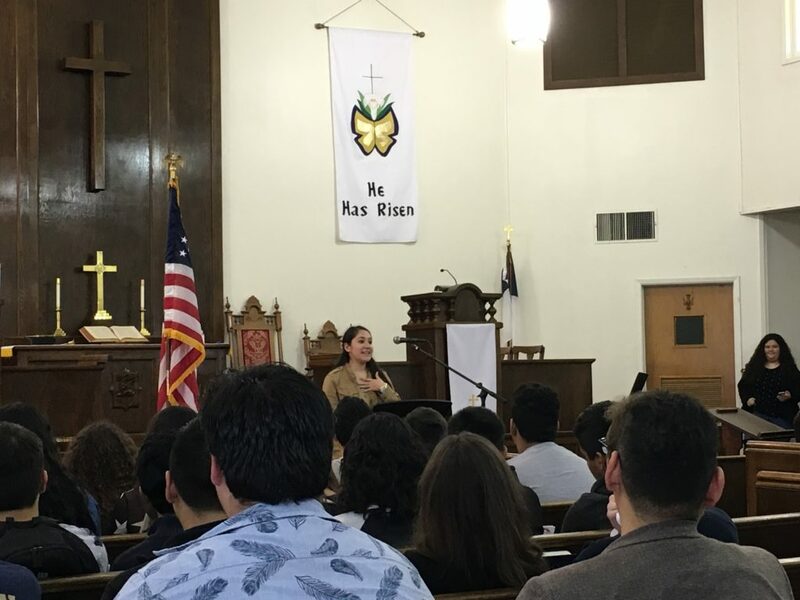 However, speaking at the Road to Change event, Mendez said that it shouldn’t be left to kids like her to advocate, vote, and call their representatives. Civic engagement shouldn’t be the niche thing that it has become. Voting is not marching band. It’s not Pokemon Go. It’s not math. For that to change, though, she said, the early-adopters, the activists, can’t be afraid to stand out. 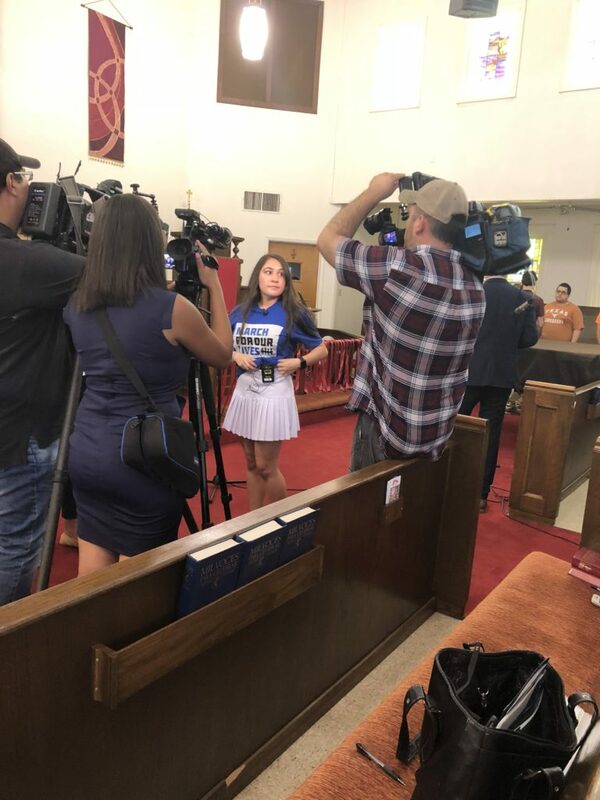 Sophia Mendez speaks to media after a Town Hall event. the crowd that young people have led social change before. She compared the March for Our Lives movement to the Chicano activism of the 1960s, which led to high school walkouts in Edgewood and San Antonio ISDs. On the other hand, said Cameron Kasky, a rising senior at Marjory Stoneman Douglas High School and co-founder of Never Again MSD, apathy is one of the two pernicious “enemies” faced by the movement (the other is, obviously, gun violence). “We are stuck in a political system that is rigged against those who do not care,” Kasky said. Of course, all of the panelists acknowledged that people do care…about issues like gun violence, DACA, immigration, and whatever effects them personally. They just don’t seem to connect their angst to the power of their vote. That’s the connection they want people to make: politics are personal. Politics, like Mendez said, has become a hobby, a career, a section in the newspaper. If this is just a political issue, then the whole thing seems overwrought. I can be “your thing” but it doesn’t have to. 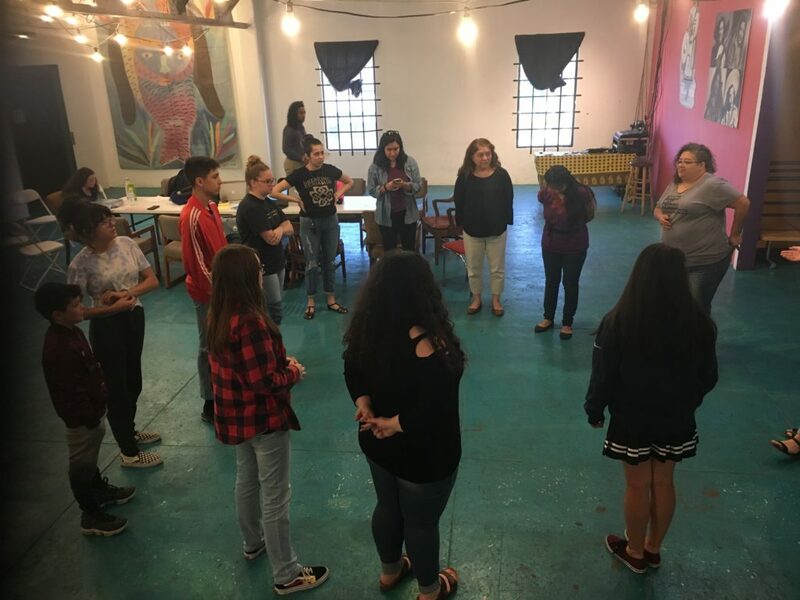 Students convene with organizers at the Esperanza Peace and Justice Center to plan for March for Our Lives. A couple of years ago, Bob Schieffer spoke at one of Trinity University’s policy maker breakfasts. He bemoaned that politics has become a cottage industry of people who are advancing a career, not fighting for causes they believed in. As recently as the Johnson administration, he said, volunteers were more essential that pollsters and publicists. March for Our Lives isn’t new. It’s a return to an classic way of seeking change. If gun violence (and immigration, and LGBTQIA rights, and whatever comes next) remains a political contest, it will be decided by the same empowered few, the same insiders, the same highly educated, well-connected, rhetorically gifted few. Not enough people will vote. Of course, we’re so used to the political industry that we don’t know what to do when people care. We don’t understand human nature. In public and private, adults criticize the March for Our Lives Kids. They do it from both sides. The students from Parkland are either “emotional kids” who “yesterday were sticking tide pods up their butts,” or they are operatives in a highly sophisticated media campaign. 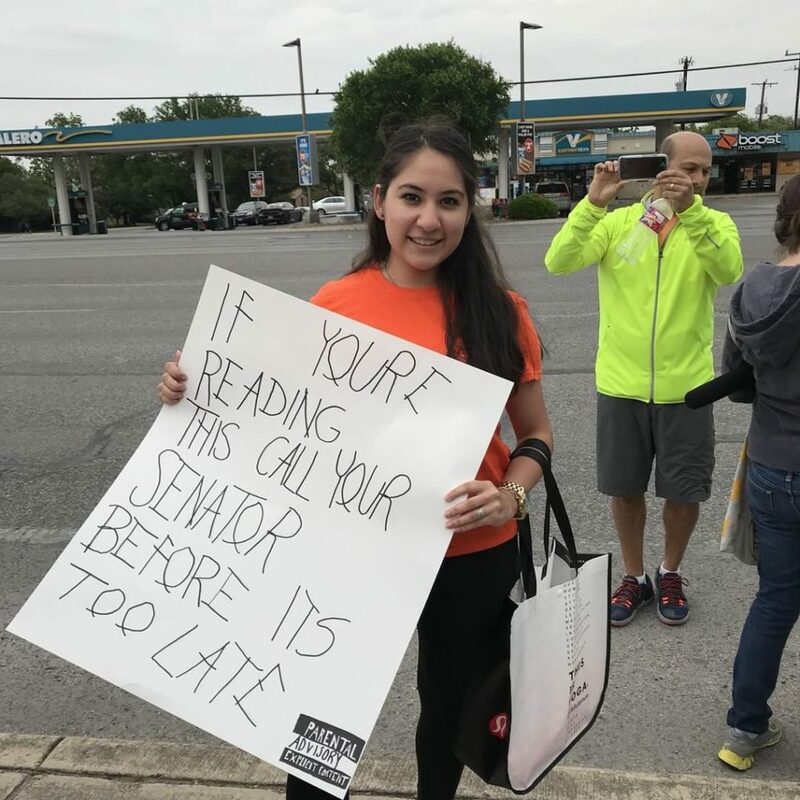 Sophia Mendez was a local organizer for March for Our Lives San Antonio in March. themselves when laws affect them personally. Social change has to have that human, personal, even emotional nature, which means it will be uncomfortable to talk about, and things are going to get more confrontational as more and more people reach their tipping points into activism. As to the second criticism, I’ll say that listening to any teenager talk, you hear a lot of borrowed phrases. A lot of intensity. They will repeat things that get a reaction, things that resonate. All teenagers do that. The kids on the stage tonight were 100 percent teenagers, talking like teenagers. Have they had more practice saying what they say? Yes. Did they ask for all that practice? No. At the July 9 event, Kasky and his Stoneman-Douglas classmates refuted the rumors that they are paid puppets. And they seem wearied and rightfully irked by the insinuation that they are enjoying their summer of activism. The only reason the tour is happening, Kasky pointed out, is because the worst case scenario happened. “This is no fun, simple teen tour,” he said. Kasky’s statements reminded me of the YWLA and Travis Early College students’ visit to the State Capitol. Legislative staff missed a critical point when they met with the students who sole intent was to raise their own campus safety concerns, which they tie directly to lax gun laws. The panel of teenage activists (and one mom) speaking to a packed sanctuary July 9. The staffers treated them like members of the politics club there on a field trip. They talked to them about how to pursue a career in politics. How the law works. No one sang the School House Rock song, but that was the vibe. But they weren’t there to learn how a bill becomes a law. And the March for Our Lives kids aren’t looking for a free road trip or some quality time with the national media. They were there to be heard. People behave differently when it gets personal. And for these kids, it’s personal.